BELGRADE/FRANKFURT -- In a year of almost non-stop crises following revelations of cheating on emissions tests, the force that finally brought Volkswagen Group's factories to a halt wasn't regulators or a court ruling, but a defiant parts supplier from the former Yugoslav republic of Bosnia-Herzegovina. Two Prevent subsidiaries quit delivering components after VW canceled a new contract and refused to reimburse money spent to fill the order. Prevent today agreed to resume deliveries following all-night talks after the dispute forced VW to stop production at six of its German factories on Monday. Prevent Group, a Sarajevo-based company, is controlled by one of Bosnia's wealthiest families. While VW is known for using its purchasing power to push through cuts, Prevent was the first supplier to fight back by halting deliveries, puzzling industry observers as the two fight it out in court. "It must have been something huge," Nihad Imamovic, who began working with Prevent founder Nijaz Hastor during the company's early days in postwar Bosnia-Herzegovina, said of the company's moves. "Something terribly wrong must have been done to him." Prevent, Bosnia's biggest exporter, has more than 13,000 employees at 36 locations around the world, making goods ranging from car seats to men's clothing to interiors for luxury yachts. The company's rebellion came after Hastor, the family patriarch whose business relationship with VW dates back some 40 years, handed over day-to-day control of the company to his sons. The new generation is facing turbulent times in the industry, with revenue gains at their lowest level in seven years and small suppliers facing wafer-thin profit margins as they struggle to keep up with new technologies, Roland Berger Strategy Consultants and Lazard said in a joint study published last month. 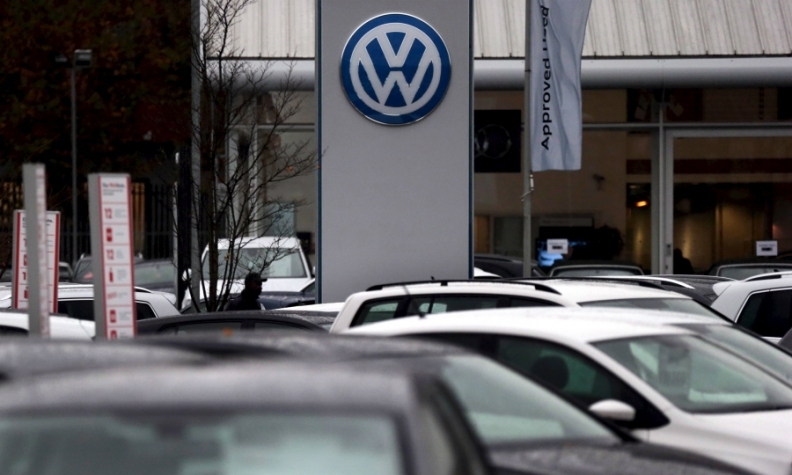 Representatives for Prevent and Volkswagen declined to comment on the nature of the dispute. Hastor started his career in a far simpler auto-components industry. In the late 1970s, Hastor was in charge of non-metal parts for Tvornica Automobila Sarajevo, which built VW models under the TAS brand, according to Imamovic, who oversaw metal parts at the company. In 1988, Hastor moved to Wolfsburg, VW's headquarters, to represent metals conglomerate UNIS in its dealings with the German auto industry. He later was put in charge of VW suppliers in Slovenia, including the original Prevent, a company that took its name from its original line of business, manufacturing protective gloves. In the early 1990s, Hastor began buying up Slovenian parts manufacturers, gradually turning himself into a VW supplier. He expanded Prevent production in Bosnia, then moved the company's headquarters to the capital, Sarajevo. He got in touch with his old colleague Imamovic just as the Balkan wars were winding down, hiring him as head of his ASA Group, founded alongside Prevent, which grew to encompass everything from insurance and leasing to freight forwarding and organic farms. When Imamovic retired in early 2011, he sold his stake in ASA to Hastor. He says his old colleague had the papers drawn up for 10 percent more than they had agreed the holding was worth. "We remained very good friends," Imamovic said by phone from the coast of Croatia. "He never looks down on anybody." Hastor also had excellent relations with VW, said Borut Meh, who headed Prevent Global in Slovenia for two years just under a decade ago. "He was a very positive personality, and he wouldn't be blackmailed," Meh said. "He was successful because he focused on the core business." With Hastor's sons in control and now seeking to diversify the company, Prevent has adopted a more aggressive business style, according to two people familiar with their plans, who asked not to be named discussing internal matters. Born in Sarajevo, Kenan Hastor and Damir Hastor grew up partly in Germany and studied abroad, according to Bosnian news reports. Just before his wedding last year, a Bosnian news site crowned Damir Hastor "Bosnia's most eligible bachelor." Meanwhile, Prevent has continued to make acquisitions, including the two subsidiaries now fighting with VW, the Car Trim seat-component division and ES Automobilguss transmission-parts unit. The order canceled by VW involved a 500 million-euro deal with Car Trim that was scheduled to start next year, a person familiar with the matter said last week. The company first clashed with VW in Brazil, said two people familiar with the matter. The dispute there was over quality issues and late supplies, and as in Germany, Prevent's subsidiaries threatened to halt deliveries, one of the people said. The question is why Prevent would fight back on a larger scale in Germany, given VW's power and probable ability to lock the Bosnian company out of future contracts, said Stefan Bratzel, director of the Center of Automotive Management at the University of Applied Sciences in Bergisch Gladbach, Germany. "It looks like harakiri," or ritual suicide, Bratzel said before an agreement was reached in talks between the two sides. "It will be difficult for them to compete in the next few years, at least with the same management."